The greatest sports memories I have experienced growing up were courtesy of Michael Jordan. My favorite, him making six three-pointers in the first half of the 1992 NBA Finals: Game 1, Portland Trailblazers versus the Chicago Bulls, a surprise to him then but no surprise the Jordan shrug is iconic to this day. Jordan is the greatest basketball player of all-time moreover the greatest argument in all of sports. LeBron James scored 35 points and passed Jordan to become the NBA’s all-time playoff scoring leader as the Cleveland Cavaliers dismantled the Boston Celtics 135-102 in Game 5 of the Eastern Conference Finals. 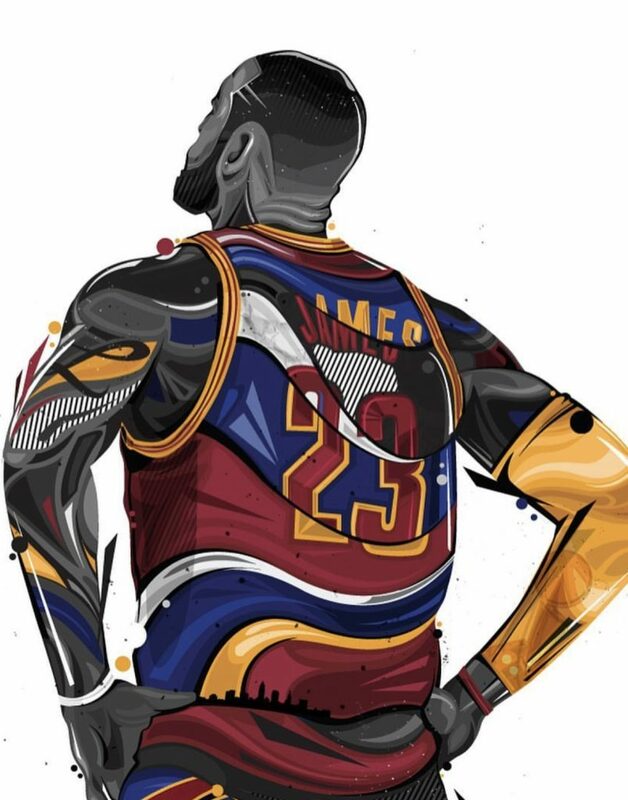 It’s the Cavaliers’ third straight Eastern Conference title, third straight trip to the NBA Finals, and seventh straight for King James (including four with Miami). The postgame conversations and text messages surrounded a topic LeBron has a streak of losing. Who is better, Jordan or LeBron. It is kale vs spinach. No one in the history of sports was hyped more than LeBron. He does not get enough credit for living up to it. “I wear the number because of Mike,” James said. “I fell in love with the game because of Mike, just because of what he was able to accomplish. When you’re watching Michael Jordan it’s almost like a god. So I didn’t think I could be Mike.” James connected on a three-pointer in the third quarter to pass his Airness on the playoff-scoring list. King James’ accolades are piling up putting him in the same “statusphere” of his childhood idol Jordan. James has expressed the Jordan-versus-James debate is only “great for barbershops.” If you placed LeBron James on the Brooklyn Nets, the worst team in the NBA record wise, it’s fair to say they make the NBA Finals. I don’t know if it would be the same for MJ. However James understands that the Jordan dispute is not for him to make because it is one he cannot win even if he wins back-to-back NBA Finals against a Golden State Warriors team with the addition of Kevin Durant. find, but just one thing preventing him from being an all-around hero. James has to deal with overtaking the memories of many who not only grew up watching MJ like me, but the Wall Street banker who witnessed him score 55 in his comeback to the NBA. Or try to convince the “Space Jam” generation that a retro pair of Jordan sneakers is worth passing for a pair LeBrons. Jordan’s influence is so powerful to this day yet he never used it to his advantage off the basketball court. He mostly refused to take stands against political or social issues. He has his own right not to. James however in today’s social media age made staged decisions, has his own operations/management and uses free agency to his benefit. James has spoken out on big sociopolitical issues moreover supported Hillary Clinton during her campaign. It has not hurt King James and it surely has not helped him when the Jordan comparisons arise. “The biggest thing is I did it just being me; I don’t have to score the ball to make an impact on the basketball game,” James stated. “That was my mindset. If I’m not scoring the ball, how can I still make an impact on the game?” I witnessed LeBron James in a Miami Heat jersey score 61 points live in person, a career best. I received a text from a friend after the game stating “Kobe Bryant scored 60 points five times in his career.” King James may take this burden of comparisons into retirement with no way of winning.